Our teams of expert reviewers, poker aficionados and technical gurus have yet to come across an online poker room of this quality. Betcoin.ag is a step above the competition in every way. It features the most immersive, engaging and interactive 3D entertainment ensemble you are likely to find at an online casino, sportsbook or poker room. The dazzling visuals are reminiscent of watching a Hollywood blockbuster with all the bells and whistles you have come to expect. Powered by multiple world-class software providers in BetSoft Gaming, XIN Gaming and GameArt, you know you are in safe hands. The user interface is clutter free, captivating and laden with gaming opportunities. Right off the bat, it should be known that this is primarily a LTC (Litecoin), and Bitcoin (BTC) poker room, casino and sportsbook. All in all, players will get to enjoy safe and secure gaming, rapid deposits and withdrawals, massive guaranteed poker pots and a live sportsbook. The number of games available to players is 400+, and counting. As you can imagine, we have a lot of work to get through in this review, and our in-house gaming experts scrutinized Betcoin.ag from top to bottom to bring you the most comprehensive review possible. We spared no expense in evaluating the professionalism of customer support, the quality and quantity of poker games and casino games, the registration process, safety and security and the Betcoin.ag community among others. We also took the time to consider aspects such as the VIP program, bonuses and promotional offers, licensing and registration, social media connectivity and more. Sit back, relax and enjoy a fully comprehensive review of one of the most respected online poker rooms. Why is Betcoin.ag so Unique? It’s not every day that you come across an online casino, online sports book or online poker room that instantly reels you in. With Betcoin.ag, they have hit upon a formula that works: interactive video entertainment. The HD immersive visuals are engaging in most every way possible. While you are clicking through the gaming options at the top of the page, you’re presented with mesmerising footage created by the gaming providers. With 400+ games available, players are spoilt for choice. We focused our review on the poker games on deck. What’s great about this online poker room is its multi-platform compatibility. You can download the Windows client (13.9 MB), use the web-based version for Linux, Windows or Mac on the Flash client, or go mobile and enjoy iPad, iPhone or Android-powered gaming. There are loads of great features in the poker room including player chat, news of recent casino wins, the latest activity, VIP Player’s Club statistics, tournament schedules, game variations and site statistics. For example, at the time of our review there were 87,489 members on site. What makes this truly unique is the fact that it integrates the finest poker features in one online poker room. Since you get to play with Litecoin and Bitcoin, you don’t need to worry about disclosing personal information. Players in the US, Europe, Australia and beyond are welcome to participate in the poker games on site. Your BTC deposits are immediately available, and things like rakeback, Sit & Go’s (SNGs), VIP Player’s Club and Tournaments galore are there to be enjoyed. The inclusion of US players has added tremendously to the number of registered users on site. There are many terrrific aspects to the poker room including highly detailed player stats, theme choice, game replay options, player notes, a comprehensive hand history, protected games (username/password combinations) and many others. You may be wondering why digital currency options are such a big selling point for online poker rooms nowadays. Since the US and many other countries have strict online gaming laws in place, it is not always easy to transfer money from your bank to an online poker room. In the US for example, the UIGEA (Unlawful Internet Gambling Enforcement Act) makes it unlawful at the Federal level for banks and financial institutions to process deposits and/or withdrawals to online gaming sites. As a workaround, digital currency options such as Bitcoin and Litecoin have come into being. These cryptocurrency options allow players to play for real money without breaking any laws. Since BTC and LTC are not controlled by central banks or governments, they are not subject to those regulations. These cryptocurrencies are not based on any physical stocks of gold bullion, or the economic performance of any country. They have value because users demand them. 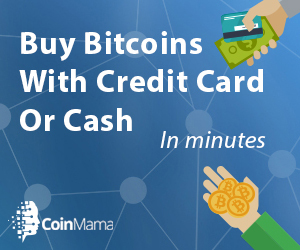 You can purchase BTC or LTC through an exchange, or by mining this currency. For BTC, it is necessary to register at a Bitcoin Exchange and then to create a Bitcoin Wallet. Once you have the requisite currency, you can simply register an account at Betcoin.ag and start playing for ‘real money.’ It is important to point out that these cryptocurrencies are not fiat ‘traditional’ currency. For that reason, no IRS reporting is required, and no personal information is needed when registering an account. You don’t need to submit your ID, Social Security number, passport or driver’s license. These are certainly major points to consider when you are choosing between online poker rooms. The other benefit of using a digital currency platform is that deposits and withdrawals are instantaneous. The minimum required deposit at Betcoin.ag is 0.01 BTC and 1 poker chip runs you 0.001 BTC. What type of poker games are available at Betcoin.ag? For starters, the software provider for this poker network is WPN (Winning Poker Network). This means that you can expect all of the same gaming options and features that other players at other poker rooms on the network enjoy. In terms of overall quality, this is premium grade poker. The range of poker games is impressive and includes several attractive options such as Texas Hold’em, Omaha, 32 Card Draw, 7 Card Stud, Teen Patti and Telesina. These games are the featured attractions at Betcoin.ag. For additional information on the poker games, players are advised to click on the game info tab alongside each of these options. Game rules are pretty in-depth, but the most important rules require players to be of legal age and from a legal gambling jurisdiction. In case you are wondering about the quality of the actual poker games, read on. This is a relatively new site, and as such has not built up the numbers that Poker Stars has or Bovada Poker enjoys. However, this is a world-class poker room with all the right ingredients to make it a highly respected venue. Seals is an example of a great poker site, but they have their own problems. For this one, there are limited numbers of poker players at the moment. Micro-tables typically feature a handful of players and the freerolls are usually enjoyed by around 20 players per day. That having been said, this is a great way to boost your bankroll with some easy pickings. Bitcoin and Litecoin have allowed this online poker room to expand its base in a big way. The user interface is stunning and it will invariably attract scores of poker players to the fore. It may not be the equivalent of FullTilt poker, but the graphics are remarkable. It is even possible to play poker games while you’re playing casino games, but here you can also play slots games too. What about Rakeback and Promotional Offers? Believe it or not, you actually get paid if you lose playing poker games at Betcoin.ag. This is available to you in the form of the Bad Beat Jackpot. Whenever this offer becomes available, simply sign up to play at one of the poker tables and enjoy the benefits offered. If you happen to lose a hand of Texas Hold’em poker, and that hand contains 4 x Jacks or better, the Bad Beat Jackpot is yours to enjoy. What’s great about this online poker room is that you can actually compare the rake/cap of Betcoin Poker games versus those at Poker Stars, Bovada, or Carbon Poker. There are no limit games and pot limit games available including the option of fixed limit games. Typically for HU tables only, the rake is 2% and there is no cap. For 2 players in no limit/pot limit games, the rake is 4% with mB0.50, for 3-4 players the rake is 4% with mB1.00 and for 5+ players the rake is 4% with mB2.00. You can scroll down the rake comparison chart for details of higher stake games and various fixed limit game options. For any technical, gaming or banking queries, you can easily contact customer support by way of email or the submission of a ticket. The email contact address is: contact@betcoin.ag . You can also use the knowledge base and forums to get your queries or questions resolved. Information is available on bonuses & promotions, the VIP players club, TV, security & privacy, deposits & withdrawals, getting started, casino questions, poker questions (game info, ring games, tournaments, getting started), dice games, and the sportsbook. The live support team is quick to respond, and when we tested the service, they responded to us within 30 minutes. The professionalism and courtesy offered by the support team is exemplary. The process of creating new accounts at Betcoin.ag is relatively straightforward. All that’s required is to enter a username and an email address. You will then be prompted with the following question: what colour is the opposite of black? Once you have entered these blocks, click the green ‘create a new account,’ button. Next up, you will be required to complete a security check and you will need to verify your account via your email address. As far as members go, there are some 87,491 registered players on site. Many of these players are not active, but there are dozens of players available during peak times and during Freerolls. There are plenty of exciting promotional offers available to poker players, including generous rakeback promos. The poker platform is available in 3 versions including Windows client, flash client and mobile. Ring games are offered at affordable buy ins, with low player numbers and a mix of no limit, pot limit and fixed limit bet types. The VIP Player’s Club offers plenty of upward progression and starts at Bronze League Level and goes up to Master League Level. In terms of how this compares to other online poker rooms, it is a cut above the rest. With BTC and LTC currency options, you are always going to enjoy rapid deposits and withdrawals, anonymity, low commissions or fees and enhanced security. The Betcoin.ag community is a vibrant place where the latest news from poker players, digital currency wallets, fair gambling and poker contests is showcased. It is updated regularly by site contributors and adds plenty of value for players. Overall, a great online poker room with fabulous features and loads of added extras.